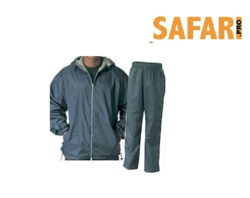 We are manufacturer and supplier of Industrial Raincoat, Safety shoes, Safety Helmet, safety Jacket , safety goggles, safety mask, safety industrial safety shoes, safety net , construction safety net , ISI mark Ce marked safety items ppe we have Safari Pro safety shoes , Tiger safety shoes, Allen cooper safety shoes to various cities like Delhi, Noida, Ghaziabad,Mumbai, ahmedabad, chennai, bangalore, Faridabad, Gurgaon, Sonipat, Ambala, Karnal, Bhiwadi, Neemrana, Bulandshahr, Kanpur, Lucknow, Varanasi, Allahabad, Dehradun, Haridwar, Chandigarh, Shimala, Panchkula, Ludhaiana, Gwalior, Jhansi, Agra, jaipur, Nagpur,Sholapur, hosur and many more. Color Available in Black, Blue, Gray, etc. With the rich industry experience, we are offering our superior quality Industrial Raincoat. This raincoat is designed under the direction of our experts in fulfillment with the international quality standards using best quality material. Our raincoat is available from us in different specifications and can be customized as per the requirements of customers within the promised time frame. Customers can purchase this raincoat from us at competitive rates without compromising with quality. 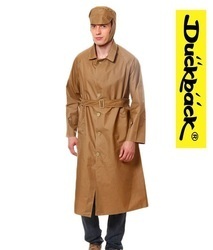 We are engaged in providing our esteemed clients premium quality array of LongIndustrial Raincoat. The given raincoats are designed by utilizing best quality basic material and sophisticated techniques as per the set market norms. Our offered raincoats are highly appreciated among customers due to its superior quality. These raincoats are available on numerous sizes & customized options as per the demand of customers.